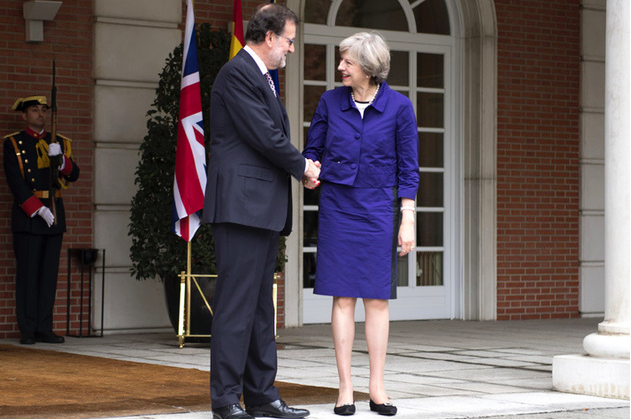 Theresa May made her first visit to Madrid since becoming British prime minister to meet with Spain’s acting president Mariano Rajoy. At the Moncloa Palace on 13 October, May outlined the British government’s proposals in relation to managing Britain’s exit from the EU. An official statement from Rajoy after the meeting said that he had reiterated his regret to May over Britain’s decision to leave the EU. However, he added that that “in the same way as Spain will defend the interests of its citizens, those British citizens resident in Spain, the millions of tourists who visit each year and the British companies established here can remain calm in this regard”. 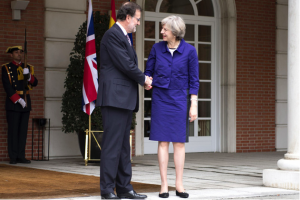 Rajoy also expressed to the British PM that Spain would support the integrity of the UK and would not “foster” any form of secessionism in regard to its exit from the EU.